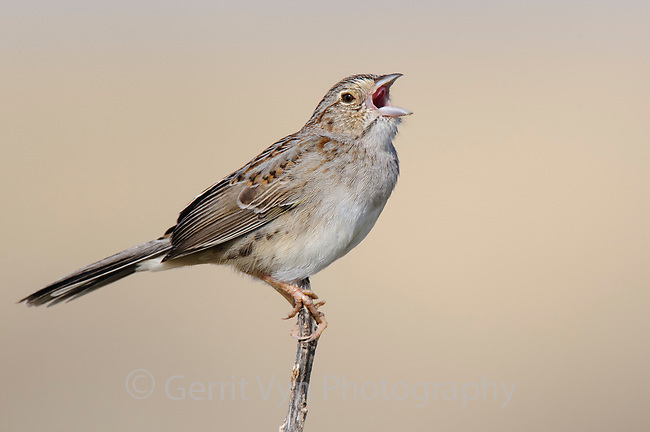 Singing adult Cassin's Sparrow (Aimophila cassinii). Cimarron National Grassland, Kansas. April.